Whether you are just starting to research video safety or are looking for additional insight from industry experts; you came to the right spot. The SmartDrive® Resource Library is updated frequently with new and valuable content, so check back often. Wondering why you should add video to your safety program? 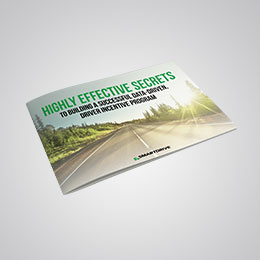 Looking for more information on the SmartDrive offering? Try these resources. Not all video safety programs are created equal. These guides outline specific criteria you should consider, by industry, when evaluating video safety programs. Using data to identify predictive trends and develop targeted strategies – now that’s Transportation Intelligence. These SmartIQ Beat Snapshots provide in-depth analysis of fleet performance trends based on the SmartDrive database of over 250 million analyzed driving events. Dig in to what SmartIQ® has to offer – including dozens of ready-to-use dashboards, data streams and professional services. SmartDrive customers and our team of safety experts help you navigate the transportation safety landscape in these insightful, on-demand presentations. Our customers say it best! Learn why they were ready for video, why the SmartDrive solution was their program of choice and results they are seeing today.